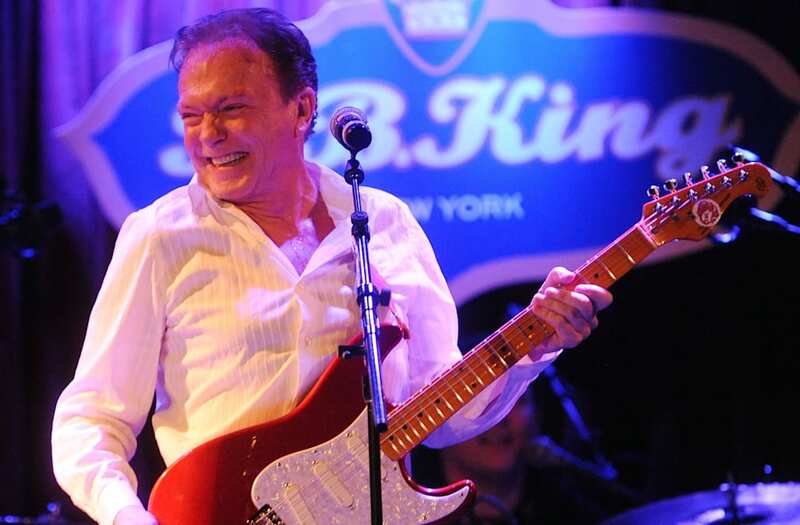 A week after announcing his escalating battle with dementia, David Cassidy has performed his expected last-ever touring concert. The star, 66, took to Manahttan's B.B. King Blues Club & Grill Saturday night to perform all the hits of his 40+ year career. On top of his dementia diagnosis, Cassidy is fighting laryngitis and arthritis -- but thankfully, his fans eased some of the pressure. When he asked the crowd to join in for his 1970 debut single "I Think I Love You," they happily obliged. During a few candid moments, Cassidy opened up about this difficult time in his life. "I'm not sure if it was Dr. Phil or someone recently asked me, 'What do you want your legacy to be?'" he said. "I guess the fact that everything I've done in my life was to bring light and love into all of the world that I was able to touch because you gave it back to me a hundred thousand times." "So this," he continued. "As long as I have breath left in my body -- ignoring laryngitis, I'm going to sing this song for the rest of my life. And it is something that I treasure, I know many of you do as well, it's had such an impact on my life. I don't know how to describe it." According to reports, Cassidy told the audience that arthritis makes it increasingly tricky to play guitar.